Today we would like to share with you our interview with the Orangenose Studio team, the developers of Egg Car. Think transporting an egg sounds easy? Think again! Check out our original review here. Before we start, we’d like to thank the Orangenose Studio Team for participating in our interview, and for spending some of their valuable time answering our questions. Thanks guys! Ok first up, what sparked the creation of Egg Car? We thought the combination of eggs and cars are quite humorous and cool; both of the objects are common things you see in daily life, however it becomes exciting and challenging when you need to protect the fragile eggs while driving. All of us must have an experience protecting something REALLY carefully in life, and we thought it’d be fun to design a game about it. 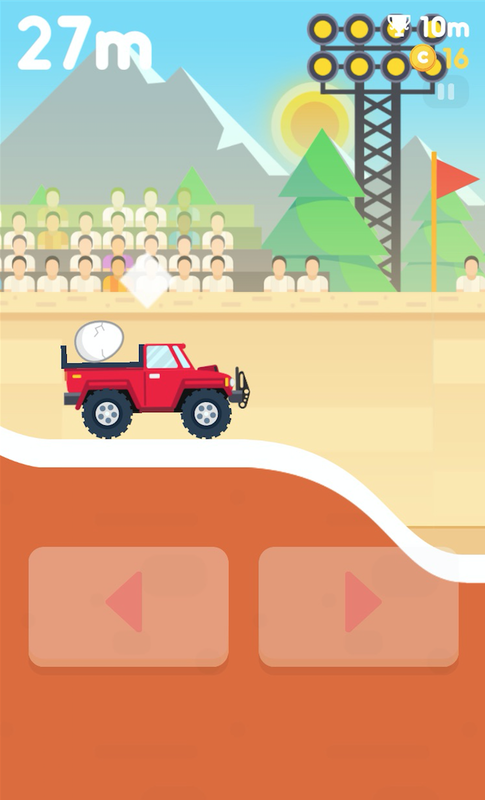 Our team love the toy-like graphics featured in Egg Car! Is there a back story as to why / how the graphics in Egg Car came into existence? Glad to know you guys love it! We’ve always loved flat designs, yet it still took us a lot of time and effort to revise the graphic and overall atmosphere. Our Game Designer Robert and Art Designer Jeks LOVE cars, so they tried many versions to create the most attractive cars they could imagine. The only thing that didn’t change the whole time was the thick white line we use to emphasize the slopes since we always wanted it to be simple for players to distinguish the slopes. Adjusting difficulty levels to suit players seems to be an important aspect of almost every Orangenose Studio game we’ve covered so far. 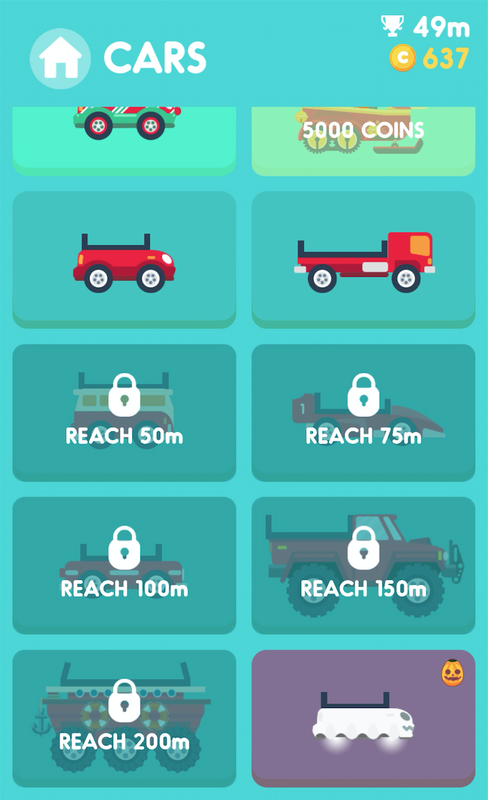 Does Egg Car also have an intelligent / semi-intelligent way of adjusting difficulty levels? Actually, the first version was way too difficult, as soon as we discovered it from the data collected, we tried to adjust it and finally made almost all players able to reach 25m. We made sure there would be a “super challenge” every 25m, you can unlock cool new cars after you conquer them successfully, and of course, those cool new cars are stronger and will take your eggs farther! What is your team’s highest score when playing Egg Car? Last question. What was the most exciting moment during the development of Egg Car? We thought the most exciting moment was when we saw the backgrounds and cars all come to life! This is a game that allows us to design various imaginary backgrounds and characters, some of them dreamy and cute, some of them cool or funny, it was a big moment to see our imagination come true. A few words to Egg Car fans on Edamame Reviews. We hope you’re enjoying the game so far! 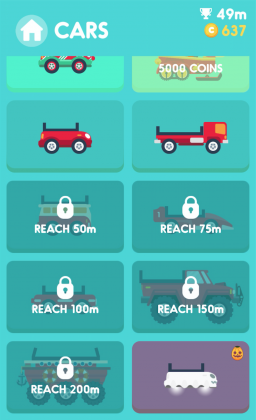 If you guys haven’t reached 150m and unlocked this jeep we hope you keep trying, cause we’re sure you’ll be addicted to driving it! Love our interview with the Orangenose Studio team? Hey I realized just now that I broke the new world record of the game egg car!